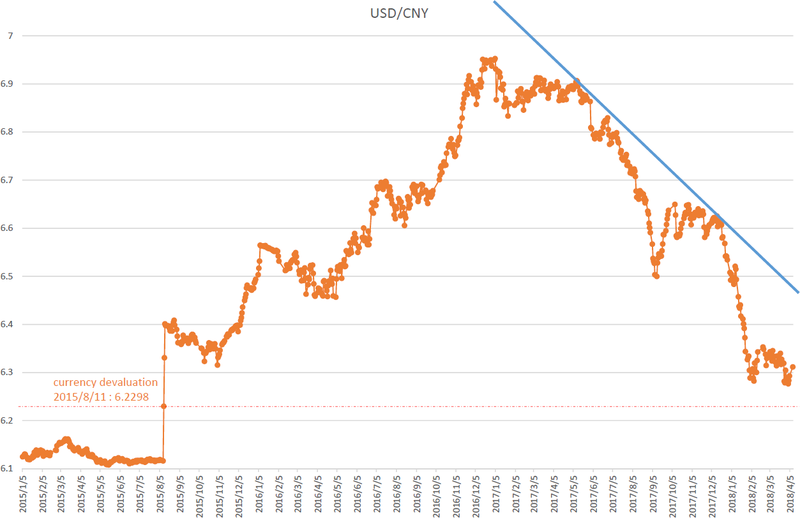 USDCNY daily; true currency devaluation seems to start from cutting 6.5 dollar. 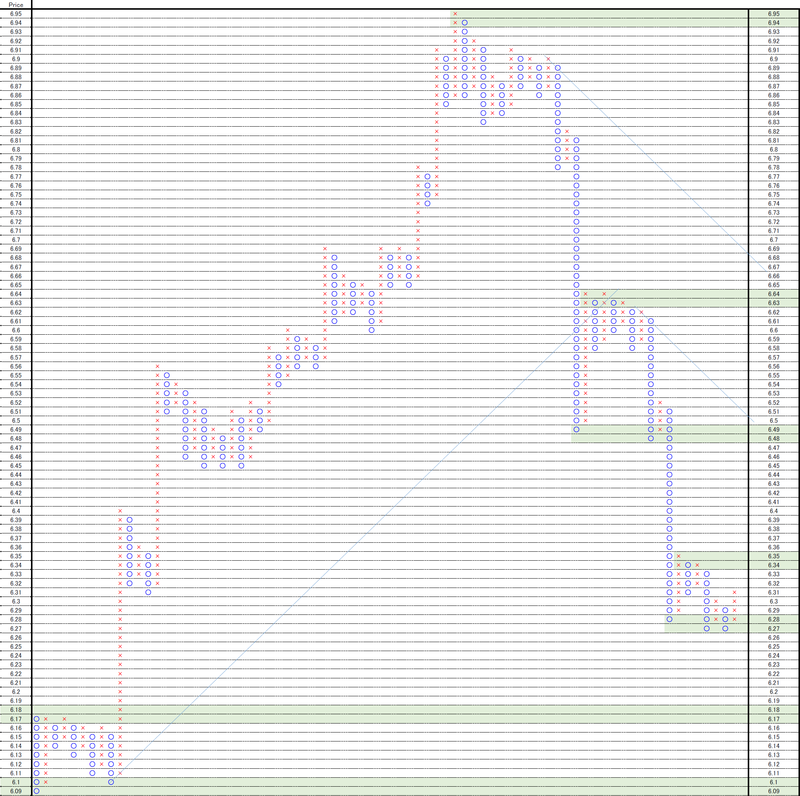 Today is USDCNY daily analysis. Our conclusion is true currency devaluation will start from cutting 6.5 dollar. 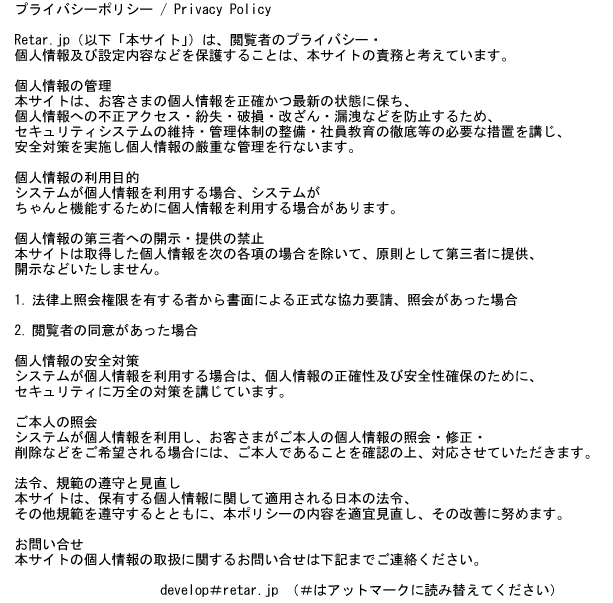 We use official rate of the People’s Bank of China. Now is the close level of currency devaluation. It will be difficult to Yuan stronger and now may be reversal phase. The most outer resistance exists 6.5dollar around. 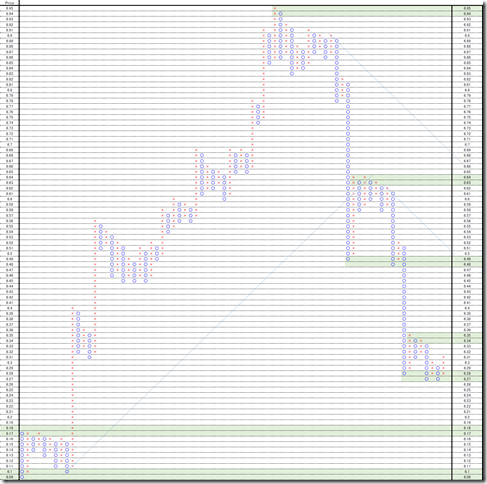 This is 0.01 point change and 3 box reversal close price’s Point and Figure chart. 45degree resistance exists 6.5dollar around. It will be reasonable falling around this zone. 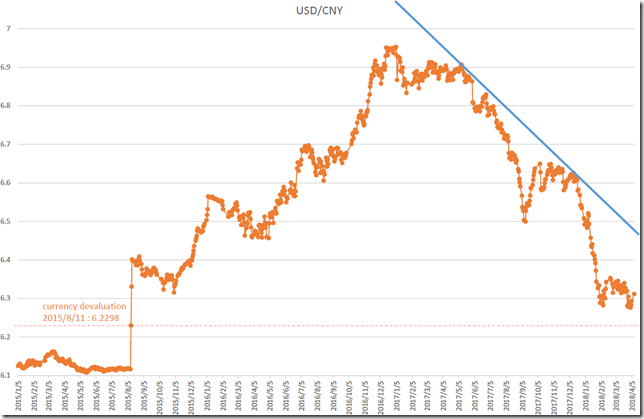 But if the price will cut the major resistance, this will be a start of Yuan devaluation.